Vy Le is a medical intuitive who works with energy fields related to the physical, emotional, and psychological bodies, specific to the individual’s need for healing, and is a certified Reiki Master and Access Consciousness practitioner. She can help bring to light old, or even past life traumas or focus on relieving an immediate physical pain or ailment. She is the creator and owner of VYTL Living Center, a wellness center, whose mission is to promote life-balance through healing & personal growth. The center offers Reiki classes and sessions in addition to providing an array of programs and classes that foster mindfulness, creativity, and self-healing. – How can Reiki be used to help with healing? – Resources and places to learn more about it. 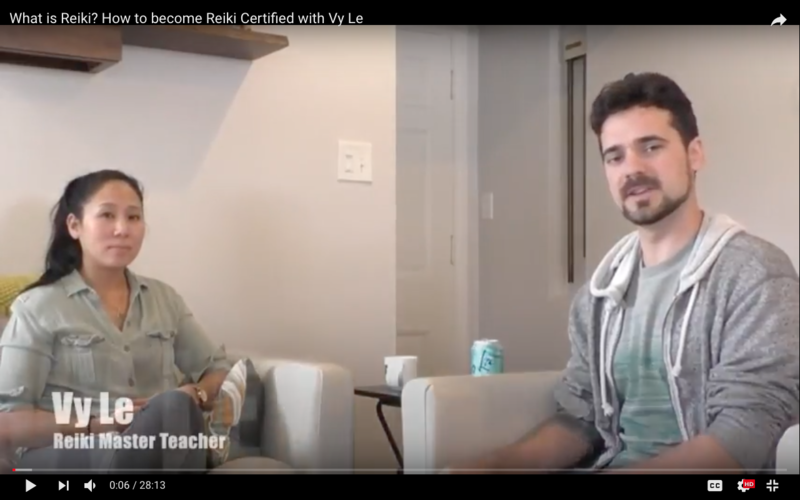 – What is the Reiki Certification Process? Nate Guadagni is the founder of Bo Yoga®, a rapidly growing wellness system dedicated to making mindful movement accessible to all people. Wisdom 101 : Practical, Inspirational Interviews Wisdom 101 distills the wisdom from health and wellness leaders, environmentalists, authors, speakers and teachers. Become energized, inspired, and more mindful with each episode.